You are here: Home / Uncategorized / Jingle Jam! SUN. 5PM. WC. 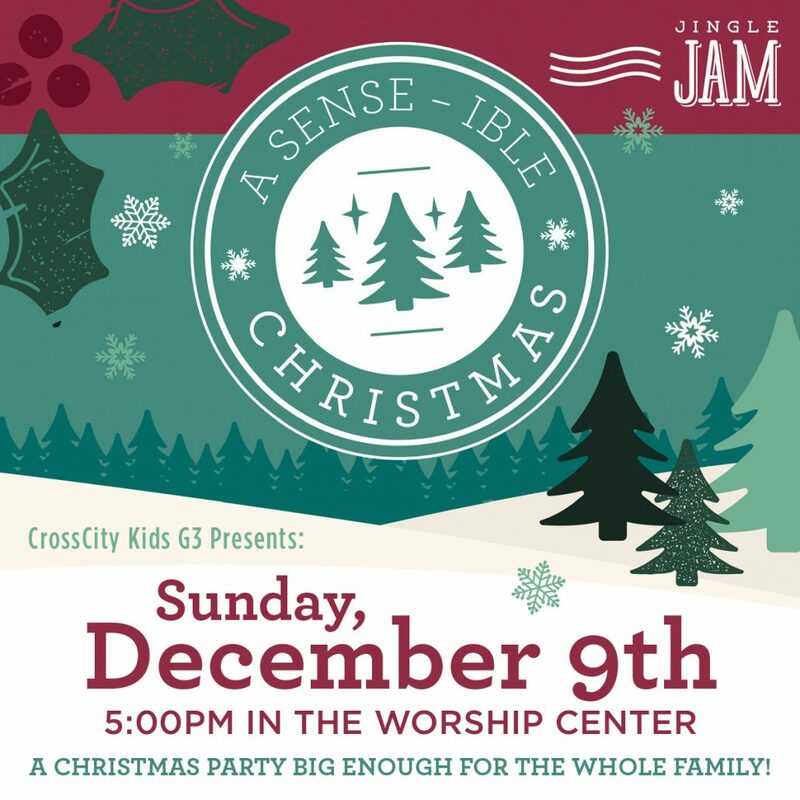 Join us as CrossCity Kids G3 Worship Team presents “A Sense-ible” exciting Christmas party, big enough for the whole family! Utilizing sights, sounds, taste, touch, and even smell, Jingle Jam is a sense-sational way to celebrate Christmas. https://christmas.mycrosscity.com/wp-content/uploads/2018/12/ChristmasCC_Posctard2-1.jpg 1200 1200 Webmaster https://christmas.mycrosscity.com/wp-content/uploads/2017/11/CrossCityHoriz-Logo01c-300x185.png Webmaster2018-12-08 02:08:252018-12-16 02:11:25Jingle Jam!